Is HOPE a Leadership Strategy? I wonder if I’m not alone when I say “where has the year gone?” December is starting the passage into the holiday of Christmas and other Seasonal Celebrations! Not all of us celebrate the same or come from the same beliefs but what I do suspect is we all hope that each year brings us closer to our dreams. This time of year I crave reflection and clarity on what does it mean for us leaders to emerge strong into action and where does hope fit? Could it be a Leadership Strategy? I measure my success as loving what I do, expressing my purpose with passion and describing leadership success not as a position of corporate or organizational authority, but more as a leadership journey where I bring hope and inspiration to other women to have fulfilled lives! In return they empower other people in their circle of influence to do the same! This year was a difficult one for me; yet it is bringing a bucketful of hope and healing and I do intend to bring the lessons learned deeper into my business and life this coming New Year! Many of you have continued to struggle with fears of uncertainty, overwhelm, leaders not willing to change, overwork, lack of purpose, personal grief, command and control environments, confusion, under confidence, and “Imposter Syndrome” http://time.com/5312483/how-to-deal-with-impostor-syndrome/ . We’ve witnessed lack of influence, scarcity mentalities, illness, and disappointments of all kinds. Together I have heard your stories and with a coaching approach, have asked questions, while taking you to the edge of learning to awaken solutions waiting to emerge! You are my brave clients coming to me looking for leadership alternatives, where you approach your issues with open wills, hearts and minds, seeking to be reignited to lead with inspiration. I remain honored and humbled by your quest for collaborative humane workplaces or entrepreneurial visions. I hold you capable to journey the road of forgiveness, while having the courage to see the reality of what part you have played in the blocks to success. As I reflect on this new month of December I have only hope that together we can co-create our visions to achieve what looks impossible to the possible! 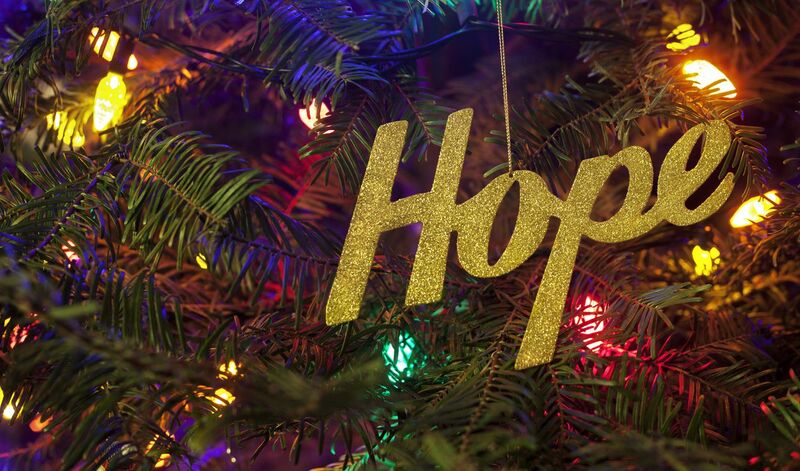 So why is hope powerful to us leaders and how do we continue to keep hope alive when every day we are met with ample evidence that we may not be inspiring or listened to? Do you find just when you are ready to quit an unexpected thought or motivating event stirs you to action once again? If so, you are not alone! These small doses of hope are sometimes all we need to continue towards our purpose and passion! Years ago transitioning from a corporate environment into the world of entrepreneurship was difficult and has brought struggles as I continue to challenge conventional leadership wisdom. Am I addicted to the thrill and the ups and downs of this journey, is this what strengthens my hope and resilience? Is this my own faith journey that keeps me questioning and experimenting and not giving up? I wholeheartedly believe my business is my own leadership lab where I learn, take action and from that action, learn more! Why? I am courageous and confident in stating my life is an example of hope. We leaders can use hope as a leadership strategy to change ourselves, the people we inspire, the world, just by changing the way we think. All that we are and will become is the result of our thoughts! So how do we get to know our thoughts? Coaching with the brain, mind and heart, creates space for both a neurological thinking partnership- https://www.shelleycox.ca/blog/post/the-advantage-of-a-thinking-partner and heart perspective beyond the superficial and quick fix solutions we are attempting in leadership today! Taking a non-expert approach, detaching from our repeated and rigid perspectives may be the best catalyst toward hope and change! Hope invigorates our purposeful pursuits and ignites our possibilities for an emerging future that may be even better than anticipated. Hope fueled by purpose gives us strength, passion, energy, confidence, courage, direction, focus, will, ambition, faith and more positive experiences that fuel our hearts and minds to an amazing leadership journey. This is all despite our past failures, experiences, circumstances and obstacle’s! Napoleon Hill introduced us to the power of having a positive mental attitude, “that will clear all obstacles that stand between you and your major purpose in life. A positive mind finds a way it can be done, while a negative mind looks for all the ways it can't be done”. As I coach, I trust and hope that we experience that light of self-awareness, a crack of inspiration, and clarity that creates the inspiration to reshape our brains, hearts and minds. Hope is deeper call into our leadership purpose. I wish you all your own story of hope for 2019!